Do most readers skip right past the dedications at the front of a book? Surely, some percentage read them and ponder the names mentioned. Often they come with an explanation, such as “my parents…” or “my husband…” or “my wife…” or “my children…"—or at least an implied explanation. Despite having read countless dedications in books over the years, when it comes to my own books I find it somewhat tricky to settle on exactly whom to so honor and how to word it. The easy way out is simply to dedicate all of one’s books to one’s significant other—and perhaps also to one’s offspring. I have observed that many authors consistently do just that. There is something satisfying, however, about acknowledging people who directly or indirectly influenced the particular book in question. For my first book, Maximilian and Carlotta Are Dead, the content of the dedication was never in much doubt. In addition to my wife and daughter, I had to acknowledge two of my closest friends. One was a major (albeit partial) inspiration for the character of Lonnie McKay. The other was a significant (but again partial) basis for the Mexican street kid Antonio. The latter friend has lived in France for years and was delighted to find his name in the front of the book. “I was moved to tears,” he wrote me in Spanish. Sadly, my other friend did not live to read the book—which I know would have amused him no end—let alone to see his name in the dedication. He passed away after a interesting and challenging and all-too-short life, nine months before the first (Kindle) version of the book appeared. It has fallen to people who knew him during his teenage years to read the book and be amused in his stead. 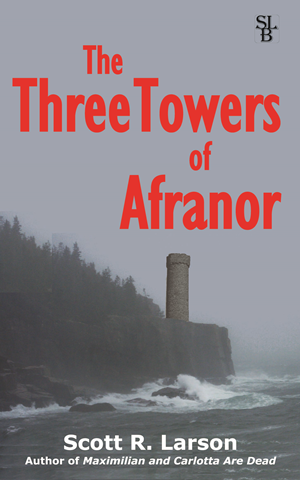 When it came to The Three Towers of Afranor, since it was a product of purely fanciful imagination, it seemed appropriate to honor the influences that had caused my creative juices to flow at the time I came up with the original story. There were many, but I settled on three. J.R.R. Tolkien is obvious. What reader with any interest at all in fantasy has not been influenced or inspired by that titan of the genre? The day I discovered The Fellowship of the Ring in my school library was a major turning point. I recall greedily holding on to each volume of The Lord of the Rings until the last possible day before penalties were incurred. Stan Lee is another well-known name—much better known now than it was when I was reading Marvel comic books back in the 1960s. I identified with him because he was the writer of the comic books. For a long time he was seemingly the only writer Marvel had. In fact much of the creative work in The Fantastic Four, The Amazing Spider-Man, The Mighty Thor (the comic that most influenced my tale of Afranor) and all the other titles was done by the illustrators. By rights I should have included Jack Kirby’s name along with Lee’s. For simplicity’s sake, though, I let Lee’s name stand in for Kirby and all the other talent at Marvel that turned out such an amazing and consistent torrent of adventures. The name that may not be familiar to you is that of Dan Curtis. Like Stan Lee, he is a stand-in for many talented, imaginative people. He was the impressario who created and produced the 1966-71 daytime serial Dark Shadows. But he did not write any of the screenplays and directed only a handful of its 1,225 episodes. Helming chores were led by television pioneer Lela Swift along with contributions from directors like Henry Kaplan and John Sedwick. The cumulatively massive job of day-to-day writing of the saga fell to scribes like Art Wallace in the early days and later Gordon Russell and Sam Hall. You can credit my years of watching Dark Shadows for any of the gothic touches you find in The Three Towers of Afranor. I also included my high school Spanish teacher in the dedication. She gave the assignment that provided me a pretext for dreaming up the original story and writing it down—in Spanish. I have not been in contact with her for decades, and I am sure she would be very amused to find her name in the book. Like the other dedicatees she is really a placeholder for all of the great teachers I have had in the language arts. And once again I had to include my kid in the dedication. She not only provided the pretext for keeping the old tale alive as a bedtime story but she is the one who firmly encouraged me to finally put it down on paper—in English. I see that the Barnes & Noble website now has both the paperback and Nook versions of The Three Towers of Afranor live on their pages. Click on this link for the paperback. Click on this link for a digital copy for your Nook device or app. Well, the paperback version of The Three Towers of Afranor is definitely out there now. All you paper-clingers, go knock yourself out. It is readily available from Amazon’s US site. At the moment Amazon’s Canadian site, however, directs you to some of Amazon’s third-party sellers for purchase. And Amazon’s UK site lists it as “temporarily out of stock” but will allow you to order it. Based on experience, I expect all these sites will before too long show the book in stock and available for ordering. Barnes & Noble’s site is now listing the book but has it “out of stock” and not available for ordering. When I find that it can be ordered there, I will add a link to this book blog page. As with Maximilian and Carlotta Are Dead, I have learned a lot in the process of getting the various versions of the new book released. And I have accumulated a ton of notes to myself (again) about what to do differently next time. I guess I just have to keep writing books until I finally get the release process exactly right. This is probably a good time to acknowledge here (as I do in the introductory pages of the book) my great friends Dayle and Michael, who were extremely generous with their moral and practical support as I finished up the writing and editing. Many heartfelt thanks to both. Don’t you just hate it when you live outside the United States and every web site you go to seems to assume that you do live in the United States? I know I do. So that makes it kind of odd that, in my excitement in posting links to places where you can buy The Three Towers of Afranor, I neglected to include links for people who don’t happen to live in the Land of the Free and the Brave. That’s a bit of a slight to literally billions of people, not least of all my very own neighbors. Oh well, they are probably used to it—as I am—and know how to find their local sellers. Anyway, I have updated the links on this book blog to include Amazon’s sites for Canada, the UK and Australia. Getting to the right geographical site does not seem to be so much of a problem with Google Play and Kobo Books customer since they do a pretty good job of detecting where you are and dealing with you accordingly. If none of the above links get you to where you need for finding a digital version of The Three Towers of Afranor in your market, your best bet would be to go to your usual book-selling website and do a search for the book’s title or International Standard Book Number (ISBN), which is 978-0-9904865-5-8. If you are trying to find the Kindle version on an Amazon site, you can search for its Amazon Standard Identification Number (ASIN), which is B01GVT149E. 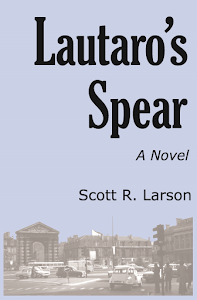 I am still waiting for the Nook version to show up as well as for the paperback to get to sellers. As they say, watch this space. Before he was able to say or do anything, he was thrown to the ground by a terrible shaking of the earth beneath his feet. It was the most powerful jolt he had ever felt. A rumbling roar rose up from the sea below. A blast of fire shot up from beneath the cliff’s edge and far into the inky sky. The heat from it was hot enough to inflict on his face a painful sensation of being singed. He shut his eyes to protect them. When he opened them again, he saw billows of smoke rising, obscuring the remaining light from the terrible flame. So what is my new book about? The book’s name, by the way, is The Three Towers of Afranor. I keep finding that I am very bad at mentioning the title when communicating about it online. I suppose it’s not so important on this page since there is a nice image of the cover (which includes the title) prominently displayed off to the right. On the other hand, these blog posts get replicated in other places where readers do not have the benefit of the various images and links on my book blog, so I should do a better job of keeping that in mind. So what is The Three Towers of Afranor about? When talking about it, I have been joking that it’s basically the same story as my first book, Maximilian and Carlotta Are Dead. What is supposed to make that humorous is that the first book takes place in a very real time and place and is meant to have a certain degree of realism, while the second book is a sword-and-sorcery tale set in a totally-made-up world that has monsters and a sorcerer. On the other hand, my “joke” is not completely off the mark. You see, I did most of the plotting and a fair amount of the writing of The Three Towers of Afranor while finishing up Maximilian and Carlotta Are Dead, and the two stories definitely had an impact on each other. For example, they both have young male protagonists and involve seemingly hopeless quests in foreign countries. Astute and interested readers are free to identify additional parallels. When it comes down to it, I find I am hesitant to go into too much detail about the new book’s story. I am not trying to be overly cute. It is just that I put in a few twists—or at least I attempted to—early in the book and it is probably more enjoyable to discover them in the reading. Yes, I am trying to avoid spoilers. So probably the best summary (and an admittedly vague one) is the one I wrote in this space a couple of days ago: It has action, adventure, swashbuckling heroes, a warrior princess, an evil sorcerer, monsters—and even a bit of romance. The book is mainly meant to be fun and entertaining, which is not to say that I didn’t try to slip a few serious themes into the story. As with Max and Carly, there are some obversations on what it is like and what it means to be young and male. At the same time, because this story is more epic in scale, there is a bit more variety in the characters, including some female ones, a demographic all too under-represented in Max and Carly. Indeed, the story of the three towers is one that has been with me for an awfully long time. Remind me to tell you how it was born and how it has evolved over many years. That just left the black-haired man. He raised his sword as he saw Chrysteffor running toward him. The prince hoped he would be as lucky wounding him as he was with the other two, but this man seemed faster than the others and much more skilled at fighting. With one quick motion of his sword, he knocked Chrysteffor’s weapon from his hand. Chrysteffor was so determined that he did not stop running and, before his adversary could do anything else, the prince had tackled him to the ground. I have a chance, thought Chrysteffor, as he saw the other man’s sword fall from his hand. It is just the two of us now, with no weapons. Boy, time sure does fly when you’re having fun. 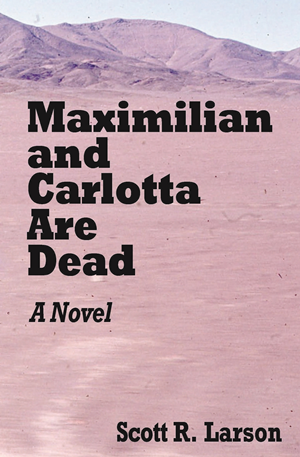 It was just a mere two years ago that my first and (until now) only novel, Maximilian and Carlotta Are Dead, was released. For the first several weeks it was available only as a Kindle book. At that point I didn’t even know if there would be a paperback edition. I had been convinced that people didn’t read on paper anymore. But, like Humphrey Bogart looking for the waters in Casablanca, I was misinformed. People did want a paperback. Not everyone, but quite a few. To be sure, the vast majority of copies sold were and continue to be for the Kindle platform. But people who wanted a paper book really wanted a paper book. So this time I am approaching things differently. I am doing my best to make all or most versions of the book available simultaneously. I get to say when the official release date is, and it is this Saturday (June 11). What I have no control over is how soon physical copies make their way into the distribution channels and start showing up on the pages of the various booksellers’ websites. Ditto the various digital versions, although my experience is that they show up on the online sellers’ sites pretty darn quickly after I click the right buttons. So I am fairly confident that, if you are determined to do so, you will be able to start reading The Three Towers of Afranor on your e-reader device by the end of the weekend. As I said before, I will add links on this page to each of the major sellers once I see the book is available there. The one laggard, as before, will be iBooks. Apple’s ebook platform is problematic for those of us who don’t happen to have a late model Apple computer to hand, and it’s hard to justify making that seller a priority anyway since, at least as far as I know, I have yet to sell a single copy of Maximilian and Carlotta Are Dead through iBooks. For those who read their books on paper, I would love nothing more than to recommend you to your favorite local independent bookshop. Sadly, the economics of book selling make that scenario pretty impossible. Instead, if you want a paperback you will have to order it from an online seller who delivers to your location. The obvious place to go, from a worldwide perspective, is Amazon, but other sellers are available, notably Barnes & Noble in the U.S. What if you absolutely prefer to get your copy from Elliott Bay Book Company in Seattle or Powell’s Books in Portland or some smaller shop? Can you have them order it for you? I don’t know. Try it and see. (The book’s ISBN, which will simplify ordering, is 978-0-9904865-3-4.) If they do, I would be interested in hearing about it. My guess is that, if they have a website, they will just tell you to order it on your computer or phone instead, as someone at Barnes & Noble told a friend of mine. This time around I am also trying to up my social media game. You can see those links off to the right as well. In addition to my Goodreads page and my Twitter feed, I now have an author’s Facebook page and even a Tumblr(!) blog—for those who prefer to visit those places. I will do my best to keep them all up-to-date, but the best and most current place for info will undoubtedly continue to be this blog. Maybe, before shelling out your hard earned shekels, you would like to know a bit more about the book? That seems reasonable. Give me time to come up with another post. What mainly drew the three men’s attention—and struck fear in their hearts—were the faces. The creatures’ skin barely clung to their skulls, and there were black holes where their eyes should have been. Were there truly no eyes in their sockets or was it an illusion conjured by the darkness? The princes had little time to wonder. The creatures were making straight for them with wooden clubs raised. There was no question but that this was an attack. The fighting princes have ventured into the dreaded land of Afranor. And there they immediately find themselves beset by dangers and challenges. Who or what is responsible for the terrors that plague this land, and what do the kingdom’s mysterious three towers have to do with it all? Yes, the moment is nearly upon us. My new book is a reality. It has a cover. (Look over to the right.) And it has a title. It is called The Three Towers of Afranor. How can you not want to read a book with a title like that? Right? While there are admittedly some thematic similarities with my first book, this one is a whole different beast that is aimed at a much different audience. It has action, adventure, swashbuckling heroes, a warrior princess, an evil sorcerer, monsters—and even a bit of romance. Who is it aimed at? Anyone who enjoys fantasy and wants to have a bit of fun. And, unlike the first book, I will feel safe in recommending it to my friends’ children. While there is a certain level of fantasy violence, there is none of the bad language with which Maximilian and Carlotta was laced. When and how can you get a hold of this new opus? I’ll go into my customary obsessive nitty-gritty details about all of that in my next post, but the short version is that the official release date is June 11. All going well, on or soon after that date you should be able to order the paperback and/or download the ebook from the usual places. As I find the book’s pages going live on the various online sellers’ sites, I will add links to them in the usual place over on the right-hand side of this page. And don’t worry. Maximilian and Carlotta Are Dead will still be available as well. Expect a torrent of additional information—or at least words—in the coming days. Because the only thing I enjoy more than writing a book is writing about a book I wrote.